Florida is no stranger to hurricanes, they come with the territory. Every year, from early June until the end of November, we Floridians are all on the lookout for storms approaching. We tune into the radio, the news, and the papers to stay informed and prepared for possible hurricanes. 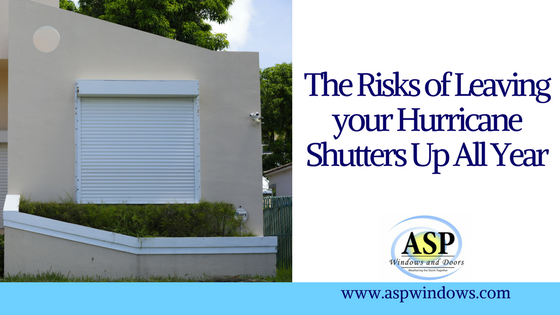 Hurricane shutters are the most important aspect when prepping for a hurricane. They shelter your home from the whistling wind, torrential rain, and flying debris. It’s tempting to leave your hurricane shutters up all year when you spend so much time, money, and effort preparing for a storm that could possibly happen five months out of the year. But we’re here to inform you that there are serious risks of leaving your hurricane shutters up all year. Hurricane shutters are designed to prevent hurricane force winds and debris from entering your home. 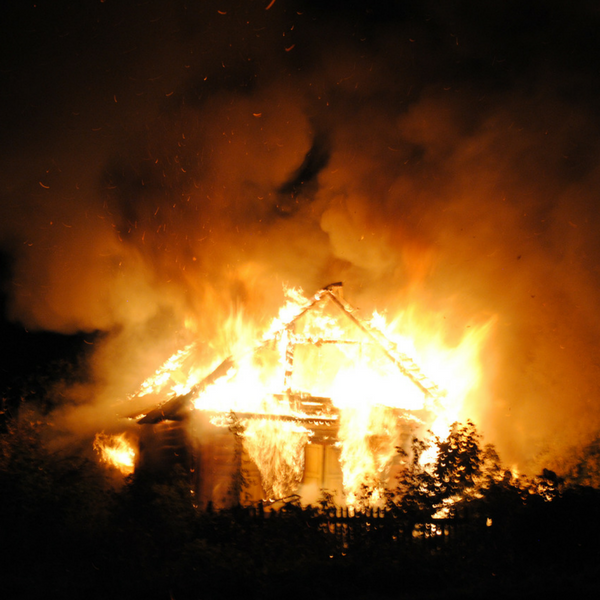 If a fire occurs in your home, you need a means of escape. The closest window is always your safest option. There is no way to escape when your windows are protected with metal shutters from the outside. Firefighters are equipped to enter a home with window coverings, but when there are victims inside, this delay is life-threatening. In 2004, a man was killed by the blaze when firefighters were struggling to enter his home due to hurricane shutters. This occurred long after Hurricane Charley and Frances had passed through Florida. In the midst of the hurricane season, he didn’t want to remove all of his shutters – costing him his life. Leaving your hurricane shutters up all year seriously impacts firefighting duties and operations. It is critical for firefighters to enter a fire as fast and safely as possible. Not only does this risk the lives of those inside, but it risks the lives of firefighters even further. 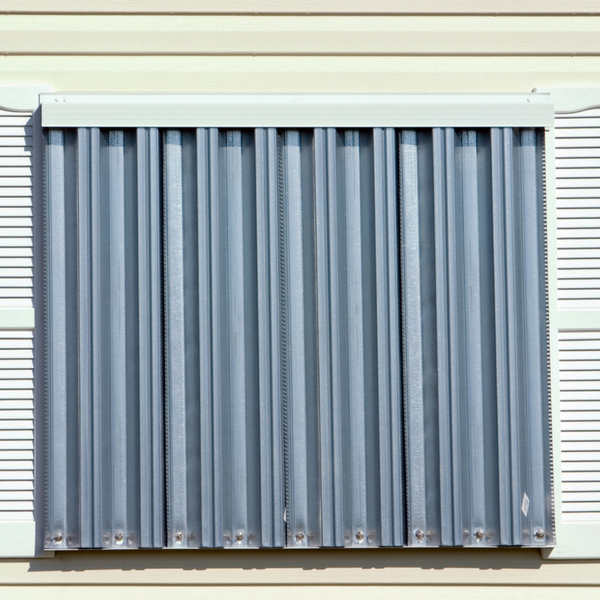 Hurricane shutters prevent firemen and women from being able to have an area of egress during fire suppression – putting the lives of everyone at risk. There are so many other technical reasons leaving your hurricane shutters up can deter a firefighters efforts, so just take ‘em down! Another major reason people tend to leave shutter up is as a safety device. Firefighters strongly advise against using hurricane shutters and other window coverings as burglary prevention. It may seem like a good idea when you want to prevent burglars from entering your home. But it turns out keeping shutters on your home all year round can actually attract thieves. When a house is all boarded up it tends to look vacant, attracting burglars and vagrants. 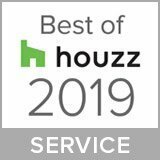 The last thing you want is for strangers to be interested in your home, especially when you have children living with you. Putting shutters up and taking shutters down is just a part of living in Florida. It can be a huge hassle, especially when you have other responsibilities to take care of during hurricane preparation. If you want to avoid the hassle but still put your safety first during the hurricane season, consider installing ASP impact windows. Need a helping hand? Contact us anytime at 1-888-782-8342.